Note: Each MPC2500 CD-ROM drum kit below includes all Akai MPC formats PGM/SND/WAV. not included in soundsets. Read full product descriptions for each MPC soundset below. 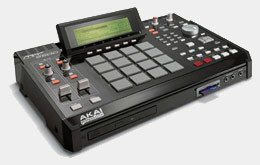 Akai MPC2500 Drum Kits from MPCsounds.com!